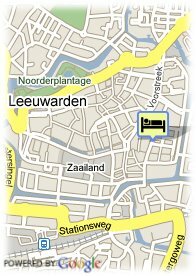 Tweebaksmarkt 25 -27, 8911 Leeuwarden, Netherlands. Grand Hotel Post Plaza is located in de middle of the centre of Leeuwarden, this characteristic 18th century building offers 43 modern hotelrooms, a luxerious wellness area and a private garden terrace. Benefit from wireless internet troughout the hotel, free of charge. Grand Hotel Post-Plaza is the perfect location to relax, but also voor business is this a great place to be. There are 20 conferencerooms available for your event or meeting. The hotel lounge, with the comfortable armchairs and reading corner, is the perfect place to unwind completely. Taste the variety of dishes in Brasserie Lourens. Parking fee required (12.50 €), Valet parking, Reservation obligated. Near trainstation, Centre, Museum Area, Near the historic centre, Near shopping centre. Brasserie Lourens gives you the opportunity to enjoy a special lunch or dinner in a delightfull ambiance. It is also the perfect place for a cup of coffee in a comfortable chair, a lunch or a drink in our bar. The hotel is situated in the city centre of Leeuwarden, the capital of Friesland, with many beautiful sights, interesting museums and great shops.